Since obtaining his CTP (formerly the CCM) certification in 1998, Dan has been dedicated to assisting organizations with improving their cash, treasury and liquidity management functions. Dan's deep executive experience coupled with his innovative treasury strategies have proven to be of tremendous value to TreaSolution's clients. Dan's current responsibilities are the daily operations of TreaSolution in addition to cash management, treasury best practices and treasury technology consulting. Furthermore, Dan leads the development and analysis of TreaSolution's Annual Treasury Survey. In addition to treasury consulting, Dan is also a faculty member at Northwestern University and teaches a post-graduate Certified Treasury Professional course. A recognized treasury management expert, Dan has been quoted in numerous treasury and business articles within the Wall Street Journal, Chicago Tribune, AFP Exchange Magazine, Business Finance Magazine, CFO Magazine, Financial Executive Magazine, Financial Week and Treasury and Risk Management Magazine. Additionally, Dan has been a featured speaker for the Association for Financial Professionals, Financial Management Association, First Midwest Bank, Northern Illinois University, LaSalle Bank and the Chicago, Detroit, Indiana, Iowa, Kansas City, Kentucky, Michigan, Minnesota, Nebraska, New York, Northwest Ohio, Pittsburgh, Philadelphia, Portland, Southern California, Tampa Bay and Wisconsin treasury management associations. 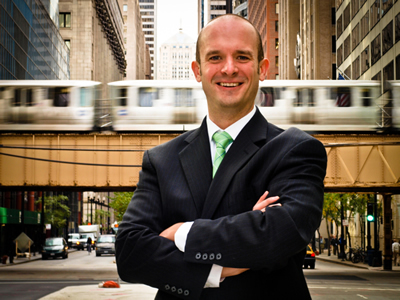 Dan is an eighteen year member of the Treasury Management Association of Chicago (six-years on the board of directors) and a member of the Northern Illinois University Department of Finance Board of Executive Advisors. In the past, Dan has been a member of the Association for Financial Professionals, the Detroit Treasury Management Association and the Chicago's Executive Club. A sought after public speaker (re: www.DanCarmody.com), Dan frequently delivers speeches pertaining to treasury management, professional networking and career development. In his free time, Dan enjoys spending time with his family, training for triathlons, watching sports (Chicago Cubs, Blackhawks & Bears) and reading non-fiction books. TreaSolution maintains close relationships with numerous treasury management subject matter experts who can, if needed, be retained for supplemental treasury consulting services. No matter what treasury management expertise your project requires, TreaSolution will retain the most qualified resource. Our independent treasury consulting contractors are industry experts who have extensive experience addressing complicated treasury management challenges. If a treasury consulting contractor is required, TreaSolution will actively communicate all the treasury consultant's qualifications and obtain client approval before the initiation of a project.